Lucas Wyman was always a technology fanatic, at a young age he was interested in how computers were designed. At around 10 years old Lucas’s first computer was a hand me down from a friend of the family, an old 5 ½ inch floppy disk computer that was only good for word processing. He decided since it didn’t do anything exciting he would take it apart and lay out all the components on his bed. With all the parts scattered across his bed, his mother walked in the room and looked infuriated that he had ruined the computer! After she left, he started putting the computer back together, just as it was fully assembled and plugged in his mom came back in with his father to see what he had done. Looking in amazement, she said, “Did you put that together? Does it work?” “Of course it does”, Lucas replied, as he powered up the computer. Ever since that moment, he pushed himself to learn everything he could about computers and electronic devices and also built many custom computers. 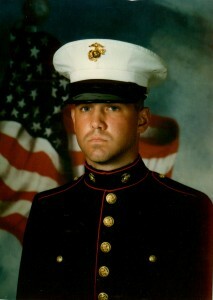 After Lucas graduated from high school he decided he wanted to serve his country, he saw the war in Iraq as a good way to do that, so he joined the Marine Corps. While he was deployed overseas he served as a machine gunner on the turret of a Humvee, he quickly realized that he should also apply his electronics knowledge to better serve the Marines around him. The threat in Iraq at the time was Improvised Explosive Devices (IED’s). Lucas decided to learn as much as he could about the way the IED’s were being built and the countermeasure systems that protected his fellow Marines. Lucas became a certified subject matter expert in electronic countermeasures for his platoon, teaching the Marines how the devices were being built, as well as, testing and fixing the electronic countermeasure systems that were built into the military vehicles. At the end of his deployment, he was awarded a Navy and Marine Corps Achievement Medal for his service. iRepairFast serves customers all around the world via the website, as well as, school systems, computer repair shops, and local customers. iRepairFast has Technicians that can repair anything from portable devices to computers. With the values that iRepairFast holds dear to their heart, like Honor, Courage, and Commitment. iRepairFast goes above and beyond! With the goal of quick, quality and cost-effective repairs. iRepairFast provides a superior service with the attention to detail that Military members and civilians alike require.